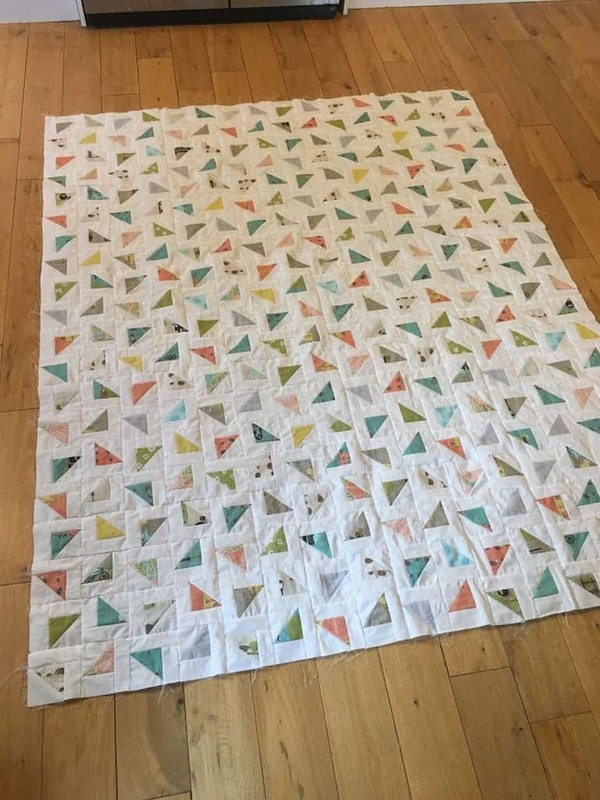 When I had finished the Swoon quilt that I made last summer I had lots of half square triangles left over, HSTs as we call them in the world of quilt making (love a TLA, me. Three letter acronym, that is!). 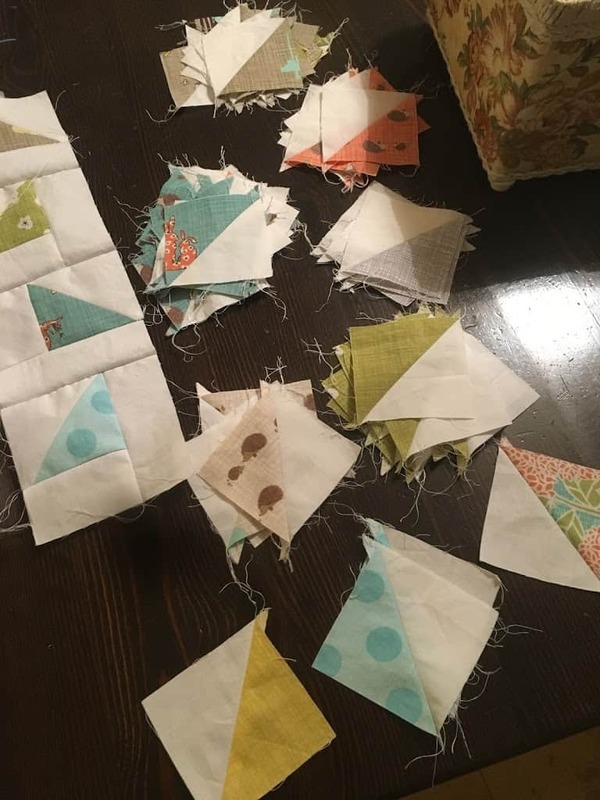 I had a browse through Pinterest for quilt patterns using HSTs and I found an ideal pattern called Scattered. 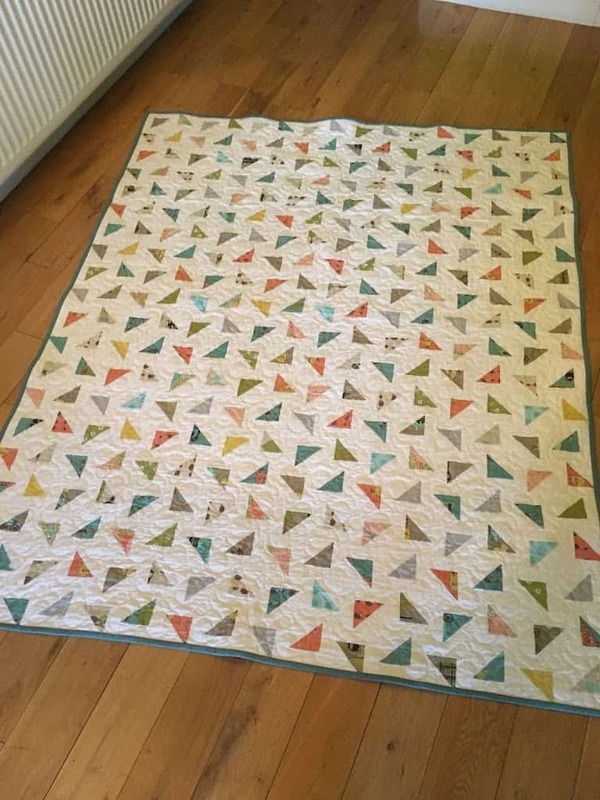 So I made a bonus quilt from the same fabric range (Blubird Park by Kate and Birdie for Moda) and used up every scrap of material. I wanted to give a quilt to a friend for her birthday as she had wanted to win the Swoon quilt I had recently raffled. 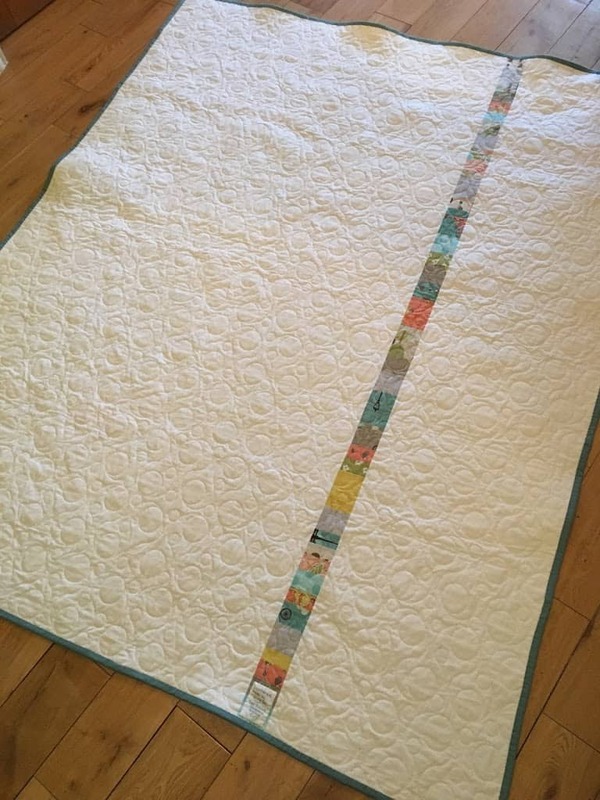 Scattered is a simple and clever pattern which can be chain pieced. It goes together beautifully. 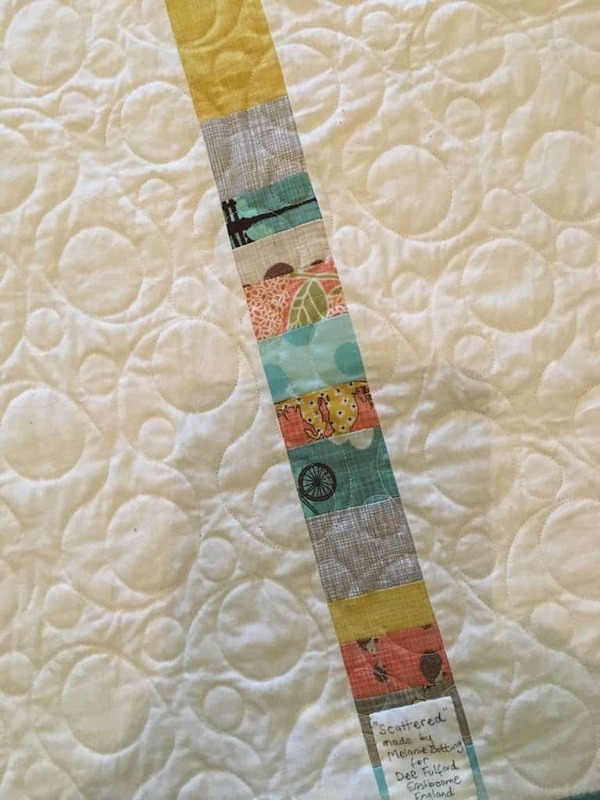 I joined the backing together with with a strip of fabric I made from the last of the material. I like “back art” on a quilt. I choose quilting designs which complement the pieced design. 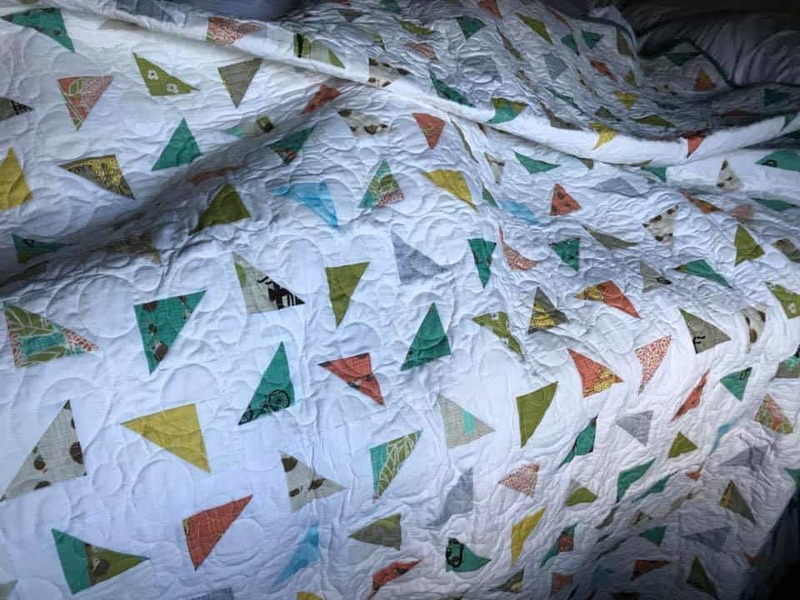 This quilt is quilted with the Anne Bright design “Too Much Bubbly” as I thought the circular pattern played well with the angular triangular composition of the quilt. Also, I like a glass of Prosecco! My friend liked her birthday quilt.